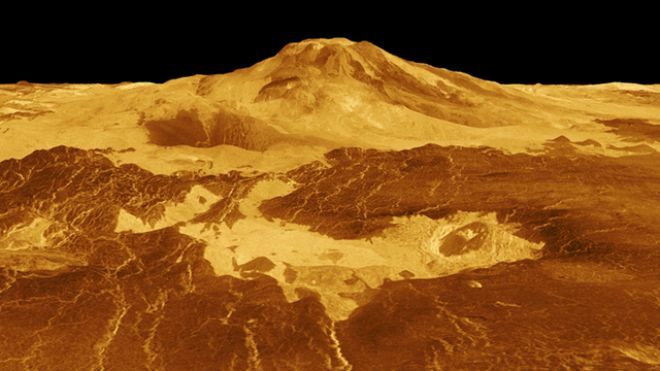 Venus is widely considered to be lifeless and barren, thanks in part to superheated clouds of sulfuric acid that cover the planet. NASA’s Solar System Exploration site says the scorched world has temperatures higher than 880 degrees Fahrenheit (471 degrees Celsius) -- that's hot enough to melt lead. Indeed, probes that have landed on Venus survived only a few hours before being destroyed by the incredible temperatures, NASA notes. Clearly life there would face incredible challenges. Yet Russian scientist Leonid Ksanfomaliti of the Space Research Institute at Russia's Academy of Sciences thinks otherwise. “Let's boldly suggest that the objects' morphological features would allow us to say that they are living," Ksanfomaliti wrote. Coolant/water boiling in reserve tank help diagnoste problem!! !